Shuttle Computer Group has launched a new SFF gaming system which is claimed to be 'Oculus Ready'. The new Shuttle Gaming Nano X1 system measures just 5.6(L) x 5.6(W) x 3.4(H) inches, or 142 x 142 x 86mm (1.74 litres), but has got "all the guts and brains any gamer wants," claims Robert Garcia, product manager, Shuttle Computer Group. Garcia went on to suggest that the Nano X1 would be an excellent choice for your next LAN party or eSports gaming tournament. The Gaming Nano X1 Series doesn't come with very many built to order options. The base model comes packing the Intel Core i5-7300HQ and Nvidia GeForce GTX 1060 3GB. There are options to upgrade to a Core i7-7700HQ and various capacity SSDs/HDDs and quantities of pre-installed RAM, making three SKUs in all. However, the product specs page adds that a 6GB GTX 1060 is an option too. You can see an overview of the three SKUs in the image above. All the systems have 2x SO-DIMM slots for up to 32GB 2400MHz DDR4 (16GB x 2) RAM. However the cheaper two i5-powered SKUs come with 8GB installed (4GB x2) and only the i7 model comes with 16GB DDR4 pre-installed (8GB x2). A bonus of the cheapest machine is a 1TB HDD in addition to the smaller but possibly adequate M.2 SSD. All the systems are Intel Optane compatible. For a compact system there are plenty of ports on this machine. To the front you will find an SD card reader and a pair of USB 3.0 ports (supporting fast charging) as well as the power button and power LED. 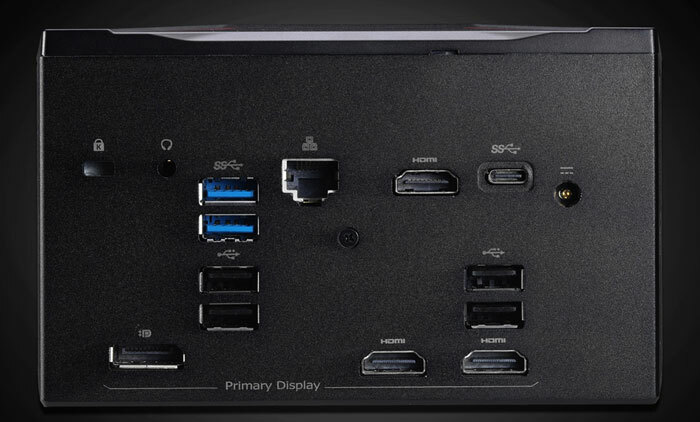 Round the back there's 1x USB 3.0 Type-C port, 2x USB 3.0 ports, 4x USB 2.0 ports, an RJ45 10/100/1000 Ethernet port, 3x HDMI 1.4 ports, 1x DisplayPort, a combo jack for audio I/O, DC-in and a Kensington lock. One of those HDMI ports comes from the secondary onboard graphics, it's situated separately, above the array of ports from the GTX 1060. Onboard there is a Realtek ALC269Q, 2 channel HD sound processor. However, Shuttle provides optional Sound Blaster X-Fi MB5 audio with various modes and sound enhancement settings. 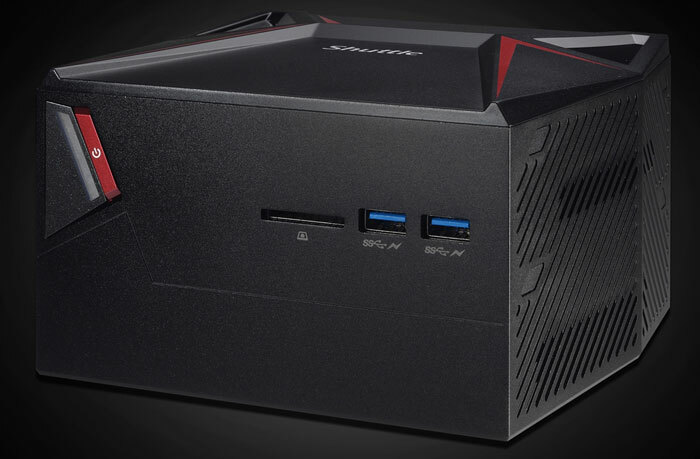 The Gaming Nano X1 systems come with an external 19V 180V power brick and power cord. 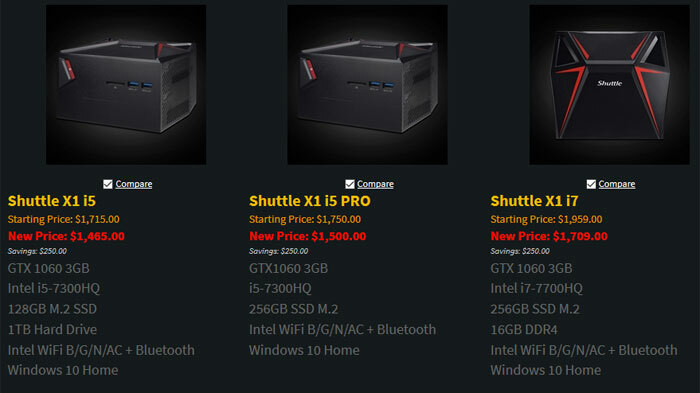 Shuttle's Gaming Nano X1 Series systems are available now from Shuttle and its partners. Buyers get a three year warranty. I used to be a Shuttle fan until they took an arrow to the knee. THE price is for a similar gaming laptop….No thanks. ^^^ I was just about to say what he said, why not just go for a laptop instead? desktop all the way .. I like to upgrade and cant aford a whole new unit at a time. ………… why would anyone buy this? or a laptop?…………. ughhh ! Portability and portability only, but yeah I think most gamers would rather just game at home on a desktop (like me), especially as the gaming industry has effectively killed off LAN parties.